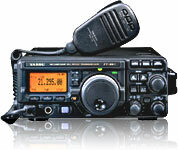 The FT-897D is a rugged, innovative, multiband, multimode portable transceiver for the amateur radio MF/HF/VHF/UHF bands. 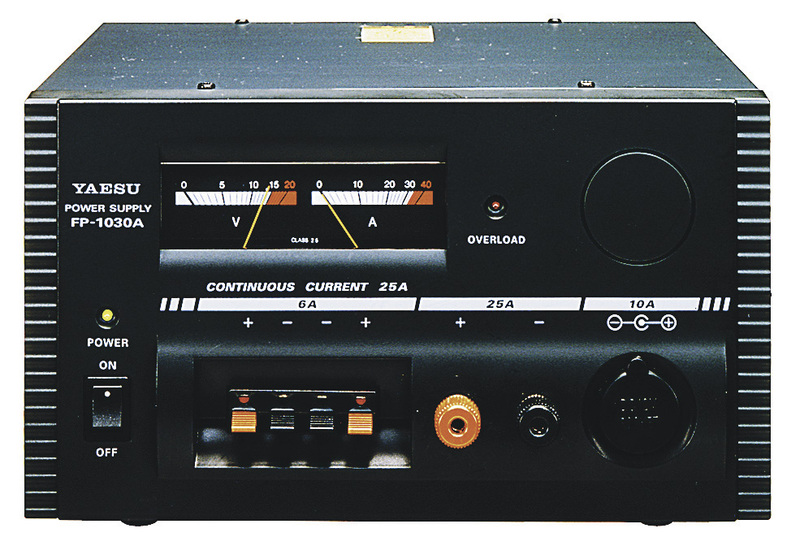 Providing coverage of the 160-10 meter bands plus the 6 m, 2 m, and 70 cm bands, the FT-897 includes operation on the SSB, CW, AM, FM, and Digital modes, and it's capable of 20-Watt portable operation using internal batteries, or up to 100 Watts when using an external 13.8-volt DC power source. The new FT-897"D" version includes coverage of the U.S. 60-meter (5 MHz) band, along with the 0.5 ppm TCXO Unit, at no additional charge! The bottom side of the FT-897 contains a “power source tray” which can accommodate up to two of the optional 13.2 Volt, 4500 mAh FNB-78 Ni-MH Battery Packs, for completely portable operation without any external power source. Maximum power output is 20 Watts (all bands) during battery operation, and with two FNB-78s you may expect up to eight hours of operating time (TX 5%, RX 5%, standby 90%). What’s more, you can charge one of the FNB-78 Battery Packs while operating the FT-897 off the other pack—ideal for situations where solar or other power sources are available. The optional CD-24 Charge Adapter provides the necessary voltage for charging, and it may be used in conjunction with an external 13.8 Volt source, or the optional PA-26 AC Adapter may be used to power the CD-24. Mobile operation, using the FT-897 as the cornerstone, is pure joy! The combination of the FT-897 and the ATAS-120 Auto-Tune Antenna System provides automated operation from HF through the UHF spectrum! Using an external 13.8 Volt power source, you get a full 100 Watts of power output on HF and six meters (144 MHz: 50 W, 430 MHz: 20 W). The FT-897’s outstanding fundamental performance invites expansion into a full-featured base station. 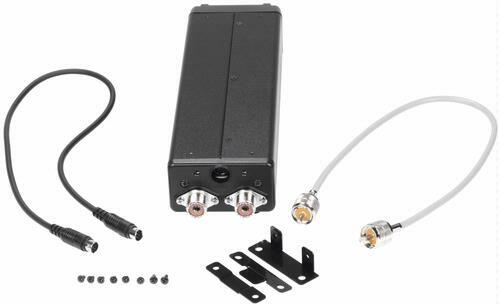 The optional FP-30 Internal Power Supply provides operation from AC sources, and the clamp-on FC-30 Automatic Antenna Tuner option expands the impedance range of the transceiver. Round out your station with the MD-200A8X Deluxe Desk Microphone and the VL-1000 Quadra System Linear Amplifier for world-class performance at home! The power source tray of the FT-897 is designed to accommodate the optional FP-30 Internal Power Supply, allowing full-power operation from 100-120 V or 200-240 V AC power sources. The quiet switching-regulator design of the FP-30 is tolerant of AC input voltage variations, making it ideal for DX-pedition use! And to extend the impedance bandwidth of your antenna system, the innovative FC-30 Automatic Antenna Tuner option clamps onto the left side of the FT-897 in seconds! Achieving 100 Watts of power output from such a compact package is a difficult mechanical and electrical engineering task. On HF, push-pull 2SC5125 Bipolar transistors driven by push-pull 2SK2975s provide the 100-Watt power capability, while on VHF maximum efficiency during battery operation is yielded by 2SC3102 bipolar PA transistors. The rugged aluminum die-cast chassis provides a solid foundation for the heat sink for the power amplifier, with a total of almost 40 cubic inches of heat sink surface area available. 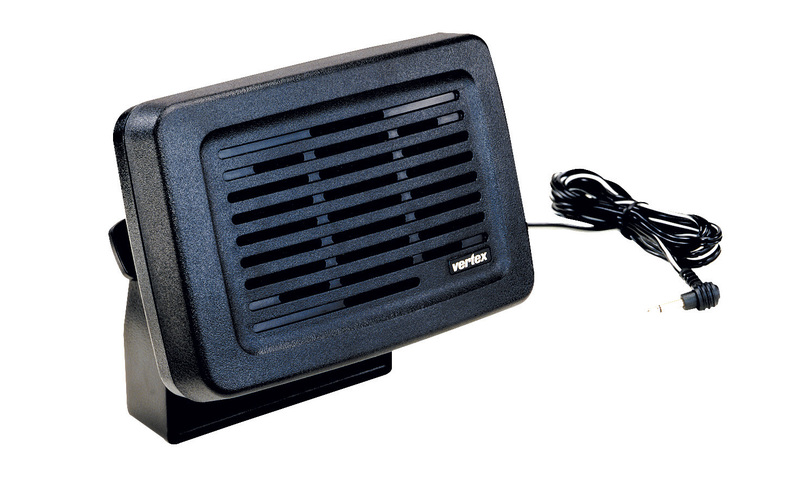 With its thermostatically-controlled twin cooling fans, the FT-897 will stand up to the rigors of DX-pedition or home contest use, with dissipation capability to spare! The FT-897 includes a wide array of analog and DSP filters to help you dig out those weak DX signals on a crowded band! One-touch activation of the DSP filters, plus a convenient “DSP” LED on the front panel, enhance the ease of using the DSP. DSP Bandpass Filters, Noise Reduction,a nd Auto-Notch Filter circuits are included. A wide array of features are tailored to the CW enthusiast operating from home or on an expedition! Included are a CW Tuning indicator, CW Pitch control, Electronic Keyer with three memories and Weight Control, and selection of Full QSK or “Semi-break-in” operation. For DX-pedition use, a unique “Beacon” mode allows you to send a repetitive message on, for example, six meters, to help others spot propagation to your location. And if you’re looking to upgrade your license class, the CW Trainer feature will send five-character letters and/or numbers via the speaker, so you can practice CW reception when the bands are dead! Are the 60-meter frequencies in my FT-897 off frequency?